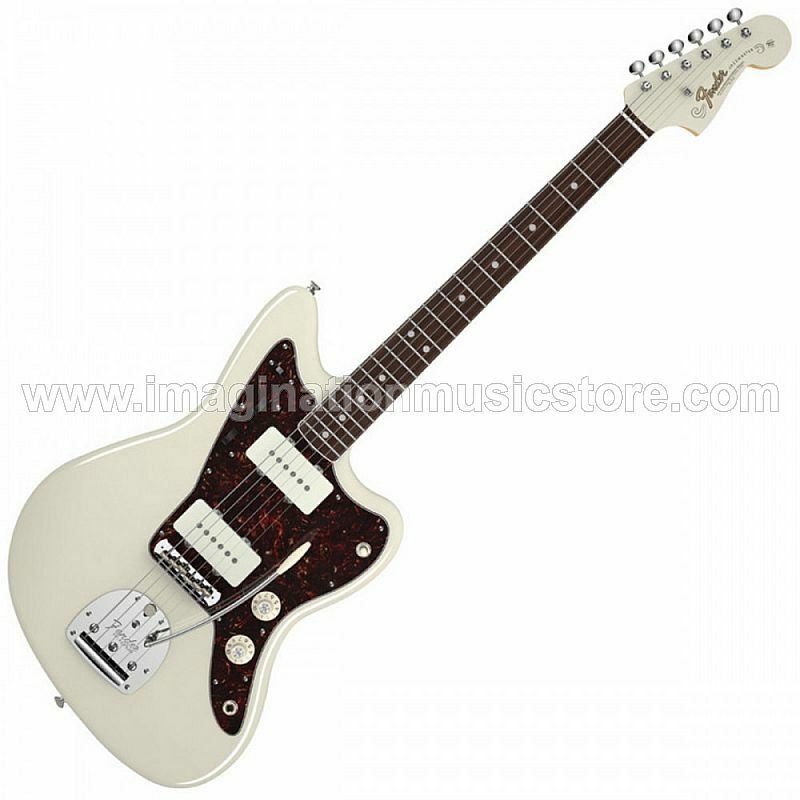 The American Vintage '65 Jazzmaster became an alternative icon for guitarists by the mid 60s. The 65 Jazzmaster coincided with a turning point for the music scene, and acquired some subtle yet defining qualities at the same time which helped to cement its place on rock 'n' roll stages right up to this very day. Namely, a bound round laminated rosewood board, witch hat knobs and large pearloid fret markers. The new Fender "Flash Coat Lacquer" finish is designed to provide an authentic look and allow the natural resonances of the wood to breathe and resonate freely. The American Vintage '65 Jazzmaster takes you back to the middle of that musically momentous decade, when the reverb-drenched surf had largely receded and the Jazzmaster began its steady decade-long ascent toward alternative indispensability for subversive new generations of iconoclastic guitarists. It had also acquired some elegant new design features by 1965, such as a bound round-laminated rosewood fingerboard with larger pearl dot inlays, and distinctive white "witch hat" control knobs. Available in Three-color Sunburst and limited Aztec Gold finishes.